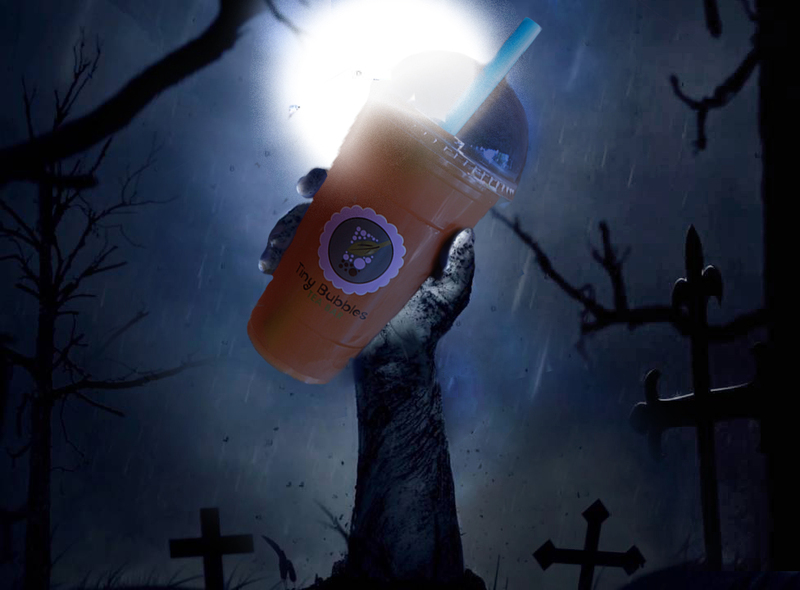 It’s the 2nd Annual Halloween ParTEA at Tiny Bubbles Tea Bar! This year we have two locations, which means 2 ParTEAS! Entry Tickets are $15 per person. Tickets available NOW! - choose location based on which ParTEA’s location you’d like to attend. - add all ParTEA people’s names to the order. - choose pickup time: ASAP. - You’re done. There is nothing to pickup. Your name will be added to the guest list. - you can only purchase tickets for the ParTEA’s location at the same location you go to. Questions? Message us on Facebook or Instagram. Let’s get Spooky 👻 Y’all!!! There are two ParTEAs! The first one is located at our Downtown Woodstock Tea Bar on Friday Oct 26th from 9pm-midnight. The second ParTEA is at our Marietta Square Tea Bar on Saturday Oct 27th from 9pm-midnight. A COSTUME!! It’s a costume party and we will be giving prizes to the best dressed. Costume Contest Categories: Most Original Costume, Funniest Costume, Best Group Costume and Best Overall. Is the ParTEA for all ages? While the ParTEA might be too late for the little ones, it will be all-age appropriate. What flavors of Bubble Tea will you be serving? Exact Flavors are not yet decided but we will be serving 4 of our Best Sellers and it’s ALL YOU CAN DRINK!!!! Can I purchase tickets when i arrive? Only if we haven’t already sold out. There are a limited amount of tickets available. We suggest you purchase your tickets ahead of time. Last year, we only had 4 tickets left by the time the event started.